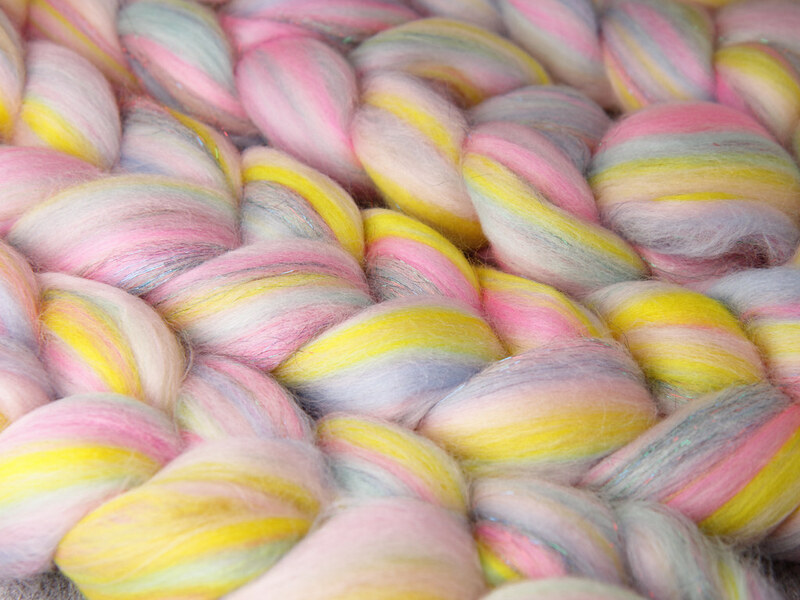 Shade: Cupcake – pastel pink, yellow, blue and lilac with multicoloured Stellina. Soft and sumptuous Extra Fine Merino top with a rebellious streak. We've always liked to break the rules, and to create our daring colourways we lightly blended pastels and dark tones with bold accent colours, then added a touch of sparkling Stellina. Stellina is a fine Nylon fibre that’s soft against the skin. Most often it has a metallic silver tone, but we’ve used a range of unusual and iridescent shades of Stellina, carefully chosen to complement the vivid Merino, giving Rebel Blend an extra dimension. These are soft, fine Merino fibres with a relatively short staple, that can handle a lot of twist. 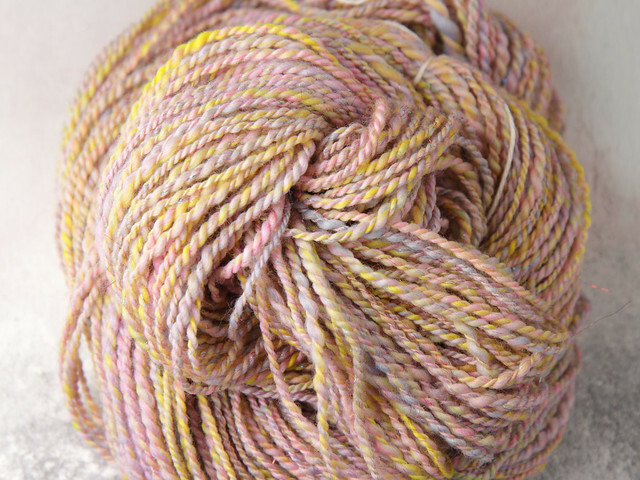 Rebel Blend is perfect for plied yarns of any weight. It can be drafted worsted for a smooth yarn, or woollen to add more loft. Singles yarns may benefit from a fulling to give them a little extra resilience. 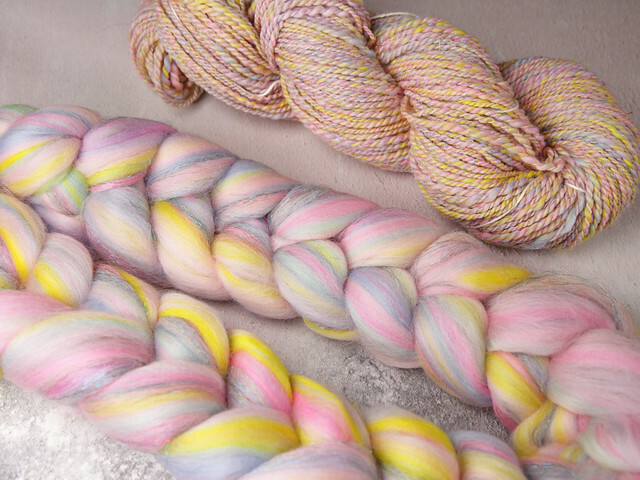 The gentle blending process gives you freedom to keep colours separated, combination draft for a marled yarn, or even blend them further for a tweedy, flecked yarn. 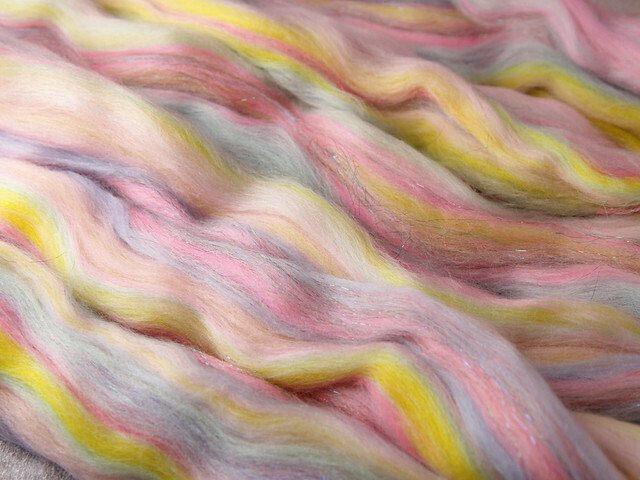 Being made from non-superwash wool, this fibre is also suitable for felting.